In order to keep the poultry sector competitive, significant efforts must be made to increase productivity and decrease cost at farm level. Basic zootechnical and biosecurity measures at farm must be implemented to ensure better quality of the final product as well as to ensure greater profitability. 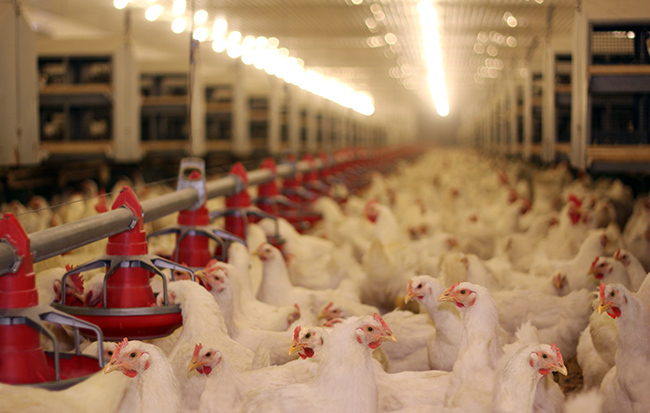 The purpose of this assignment is to support poultry companies (slaughterhouses) to provide training and technical assistance to poultry farmers and veterinarians in order to improve productivity and decrease costs at farm level. FARMA II consultant will in cooperation with representatives of poultry companies conduct trainings and provide technical assistance to poultry farmers and veterinarians in order to increase productivity at farms. The consultant will also advise farmers on changes in daily routines during the process of fattening, where needed. Perform theoretical as well as if possible practical trainings for farmers, veterinarians and poultry companies on zoo technical and biosecurity principles and measures in line with defined Agenda, possibly including but not limited to the following topics: animal health, animal welfare, light program, vaccination program, proper control of the ventilation, temperature, humidity and hygiene status in the facilities, feed management and feed conversion rate, water management, proper application of vitamins and veterinary drugs, manure management and flow to preserve the environment and socio-economic management of the farm resources. Final report on the activities submitted with results and recommendations. This activity will increase adequate knowledge and skills of poultry farmers and veterinarians at zootechnical and biosecurity principles at farm level. It is expected that through this training and technical activities at least 200 poultry farmers, veterinarians and poultry companies will be supported. Total LOE is estimated at up to 20 days and is expected to take place between May and December 2019. The consultant is expected to undertake three trips to BiH during this period. Some on-line support may also be required during the period. Valid driving license and possibility to organize transportation to / from trainings. This is short term technical assistance position for BiH (CCN) or regional countries nationals (TCN). Cardno Emerging Markets USA, Ltd is an equal opportunity employer.